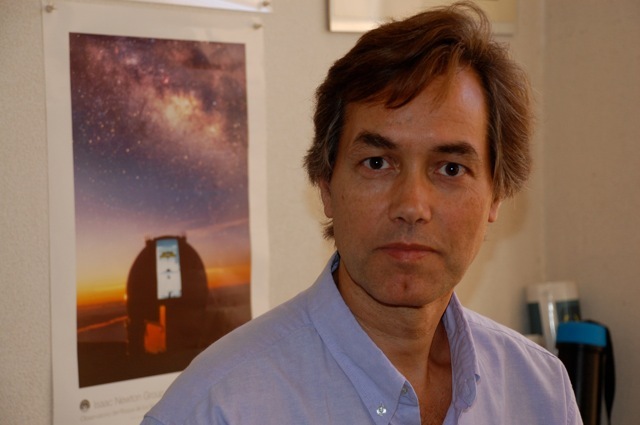 I am director of the Isaac Newton Group of Telescopes (ING) at the Observatorio Roque de los Muchachos (ORM) on the Island of La Palma, Canary Islands, Spain. The ING is an establishment in Spain of the Science and Technology Facilities Council of the UK (STFC). We manage and operate the 4.2m William Herschel Telescope (WHT) and the 2.5m Isaac Newton Telescope (INT) under an agreement between the STFC, the Nederlandse Wetenschapen Organisatie (NWO), an the Instituto de Astrofísica de Canarias (IAC). The WEAVE spectrograph is the next large facility instrument for the WHT. WEAVE will carry out massive spectroscopic surveys in multi-object, mini-IFU and large-IFU modes, to study stellar evolution, the Milky Way, galaxy evolution and cosmology. Commissioning is expected in late 2018. I am an Affiliated Researcher at the Instituto de Astrofísica de Canarias (IAC) in Tenerife. I am Honorary Professor of Astronomy at the School of Physics and Astronomy of the University of Nottingham.